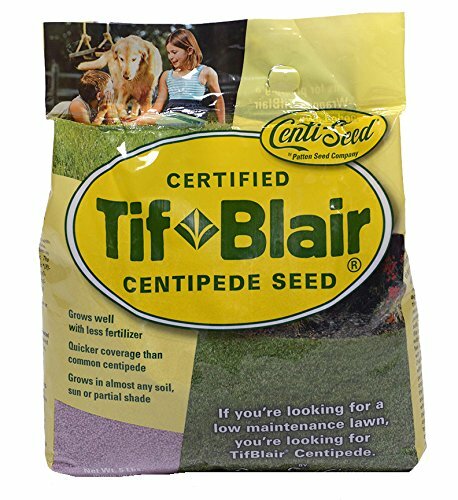 Patten Seed Company leads the way in Centipede seed production with TifBlair Centipede, uniquely available as both sod and seed. When you order from Patten Seed Company, you're ordering directly from the family farm. TifBlair Centipede seed is ideal for: large landscapes; roadsides; public and private parks; home lawns; any use throughout the South where maintenance budgets are small and turfgrass expectations high; a "non attractant" for Canada Geese and deer, for safety reasons, TifBlair is well suited for use around airports and highways; all sod and turfgrass needs in Atlanta and beyond . . . Use in the middle to lower South (from the Transition Zone and south), from North Carolina to Florida and west to Texas. TifBlair Centipede seed has these further characteristics: -Slow-growing lawn; needs less mowing and is easier to mow -Stays greener longer in the fall and greens up earlier in the spring than common Centipede turfgrass -TifBlair is the most environmentally-friendly, warm-season lawn: a. lowest maintenance requirements of all the quality southern lawn turfgrasses b. lowest fertility requirements of all the lawn grasses; grows well on poor soils. FOLLOW ALL DIRECTIONS ON THE BAG/INSERT FOR ENSURED SUCCESS WITH TIFBLAIR SEED. Each 5 lb. bag will cover up to 20,000 square feet (.45 acre). A turfgrass for full sun to partial shade. It's also drought tolerant. Tolerant of extreme heat and cold; it's a well-adapted lawn from the southern coast to the upper transition zone.